I have really enjoyed reading your blog. I was wondering if it would be possible to get in touch with you via email as my baby boy has recently been diagnosed with primary congenital lymphoedema. As you can imagine I am scared and full of questions. Would be wonderful to “chat” to you if you don’t mind. Thanks so much Jo-Ann. Looking forward to hearing from you. Hey lovely lady!! Ive just seen this post- a bit behind these days! And i love it! And BELLE ALSO HAS THE BED SOCKS! 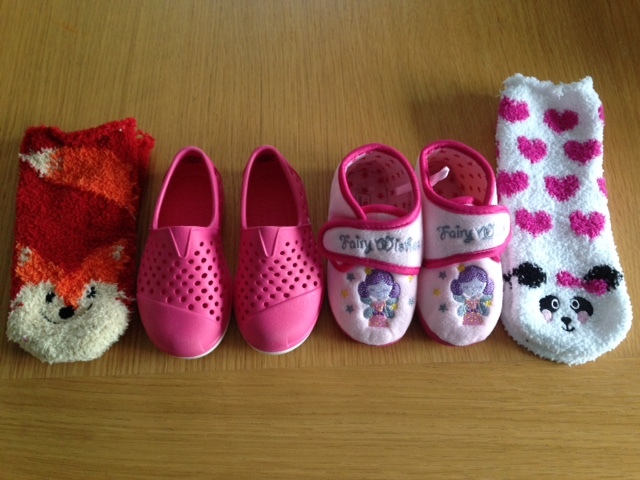 My heart jumped for joy a little when i saw that our beautiful girls would be sleeping in the same cosy socks! ☺️☺️!! I love the slippers and toms too! Hope all is well shall message you about belles new garments tomorrow! !